Our Session II is a dynamic session that allows you to move your sensual body throughout the session. Through our breath we have awareness. Through awareness we have presence, through presence we have grace and beauty. The awareness cultivated in session II will breathe new life into your sensual energy, physical body and surroundings. You will feel more connection in your own body as this dynamic session that further stimulates the kundalini energy into action, assisting your ability to improve your everyday life and relationships. When you become aware of your internal energy, it allows you to feel without acting. Without awareness, this can often be a challenge for us. The urge to act, or “react”, can be insatiable. To move through this feeling and into a new heightened awareness of your energy is what we focus on in this session. Sensory perception will have a whole new meaning. Feel yourself invigorated as you find yourself immersed in the vital techniques as Pranayama, Asana and Savasana. As we learn the dynamics of our breath our body and mind experiences a renewed freedom. The term for universal life force is “Prana” and the term to regulate or lengthen is “ayama”. The physical and subtle layers of the body are nourished by the presence of breath “pranayama” this is the energy that keeps us alive. Prana flows through the energy channels of the body called nadi’s and is transcribed by the chakras which in turn determines one’s state of mind. As we are not used to breathing correctly especially under stress, this can stagnate the energy flow within the body which manifests in fear, uncertainty, tensions, conflicts and negative qualities. Breath techniques clear the nadi’s and the chakras with the result feeling energetic, positive and enthusiastic for life. Now that the kundalini has begun to awaken in session I, we find the deeper consciousness of our body as we learn to connect further with our breath. 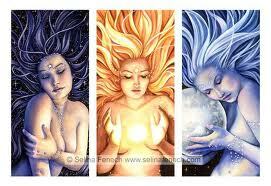 Sensual energy will be utilized for creativity,supporting the second chakra. We will learn to channel it and store it within the body for health and stamina. Having the ability to feel the energy build, you become aware of your true power, creativity and purpose. In this session we confirm the chakra information from session 1 and combine it with dynamic sensual movements invoked by pranayama breath techniques and your sensual touch session becomes alive guided intuitively by your goddess.